This new lens from Nikon looks interesting. 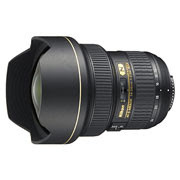 The Nikon AF-S DX NIKKOR 18-55mm f/3.5-5.6G VR lens has a “vibration reduction” technology. So what is this about? Just some new “proprietary” from Nikon that allows you to shoot sharper and blur-free photos even without using a tripod. The Nikon AF-S DX NIKKOR 18-55mm f/3.5-5.6G VR is compatible with Nikon DX format and D-SLR digital cameras. The Nikon NIKKOR 18-55mm VR lens offers 3x optical zoom and will be available in December for the price of $199.